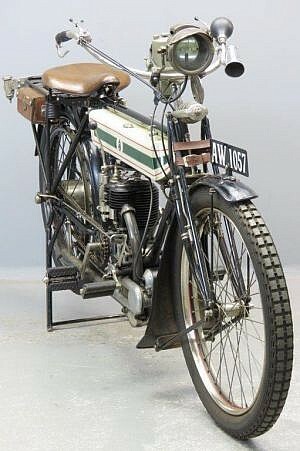 The first Triumph motorcycle appeared in 1902. It was equipped with a Belgian Minerva engine. In 1903 and 1904 JAP and German Fafnir engines were employed and by 1905 Triumph’s own engine, designed by Charles Hathaway was in use. 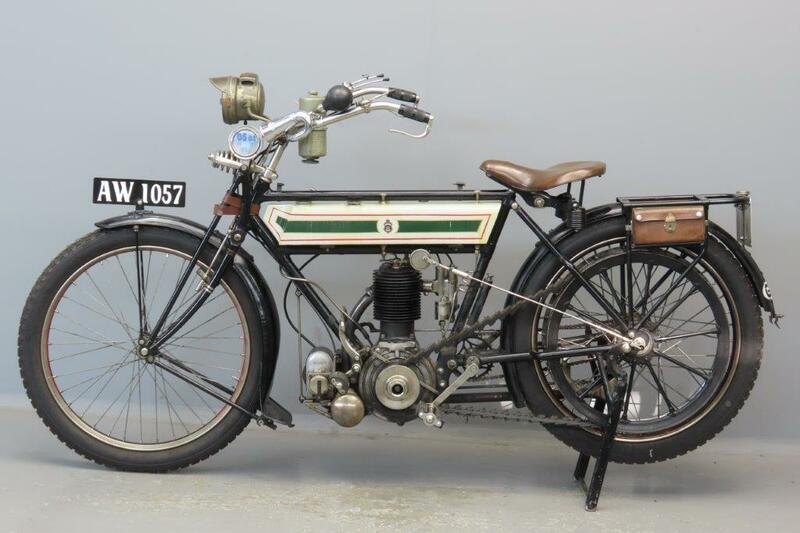 Winning the single cylinder class in the 1908 TT races on the Isle of man gave an enormous boost to sales of Triumph machines. 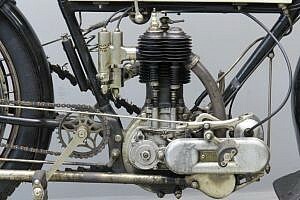 The cubic capacity of the engine grew from 363 cc in 1905 till 550 cc in 1914. This 1913 model has bore and stroke dimensions of 85×88 mm, giving 499 cc. High quality of finish and workmanship were always very strong points with Triumph; year by year details in the design were improved. 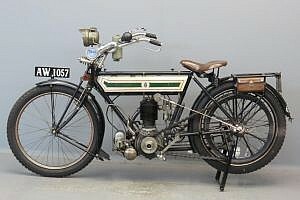 Some of the refinements listed in the 1913 catalogue were: new silencer with extension pipe to rear, new wide and curved front mudguard, redesigned foot brake with straight pull throughout and gauze cover on carburettor. 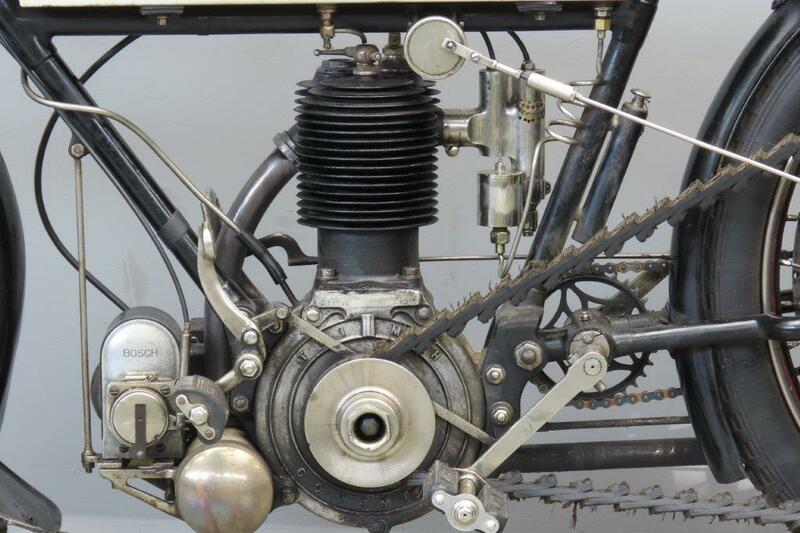 Impressive long distance records underlined the reliability of the machine. 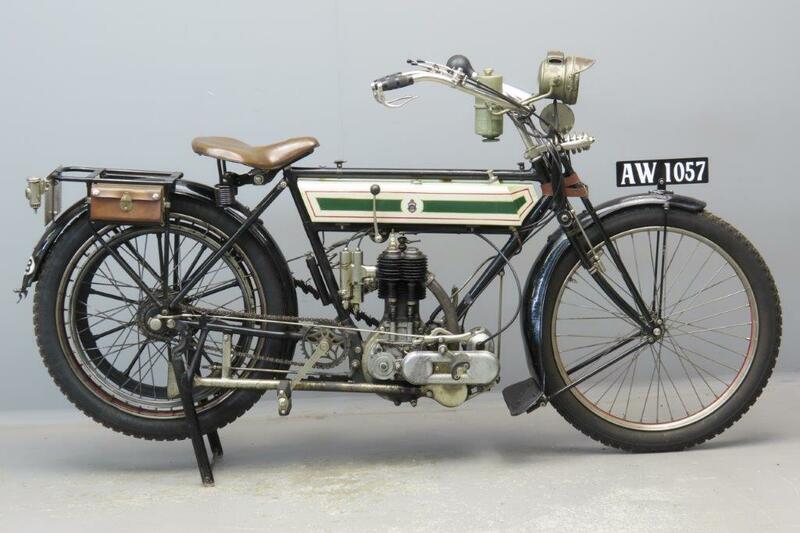 Harry Long rode a 1911 Triumph for 40,037 miles in 44 weeks; Ivan Hart-Davies set the End-to-End record of 886 miles in 29 hours and 12 minutes and Albert Catt rode his 1911 Free Engine model for six consecutive days to reach a distance of 2557 miles in May 1911, to name just a few remarkable feats. 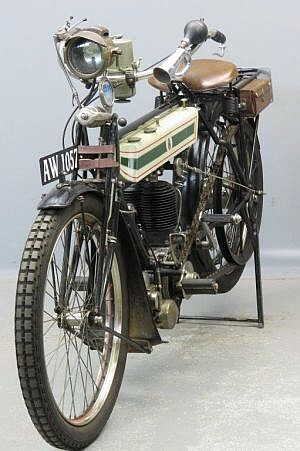 As indicated by the AW-registration this Triumph was originally sold in Shropshire. It was restored in the early nineties and has been regularly used for vintage rallies since. Some years ago a new piston has been fitted and the Sturmey-Archer hub gear has been reconditioned by specialist Kevin Hellowell. A former owner remarks: “I have ridden in various runs including the Levis Cup, the Buxton Run, Banbury Run, Ibbenburen German Rally, Relay rally, Pioneer Run, Buxton Parade and many local runs. 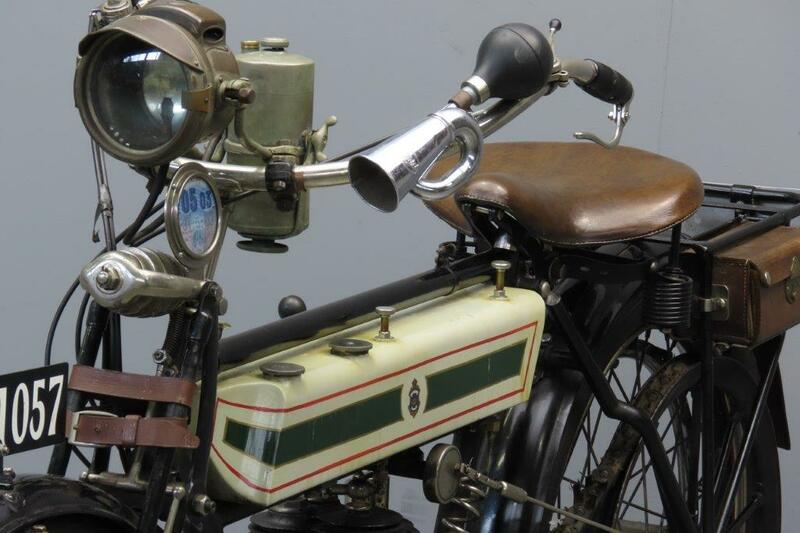 This Trusty Triumph, assembled in March 1913, comes complete with Lucas acetylene lighting system and bulb horn. The 3-speed hub gear and clutch make this machine a very practical and enjoyable veteran.